Welcome to Mercy Crest Assisted Living! 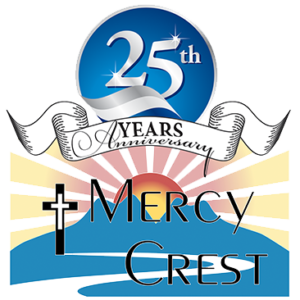 Welcome to Mercy Crest Assisted Living, where we provide the highest-quality assisted living and independent resident services in a luxurious and comfortable faith-based setting. A premier retirement facility located on 19 scenic acres in Barling, Arkansas just east of Fort Smith, Mercy Crest is sponsored by the Religious Sisters of Mercy. We provide resident-centered care for those seeking a safe and secure home where they can “age in place” and services can be added as the need arises without moving to another apartment or facility. Through individualized service plans, our dedicated team members are able to customize every aspect of resident care to allow each resident independence and quality of life, based on personal choice and preferences. Our residents benefit from an array of services including: delicious meals, including heart healthy choices, and snacks; transportation to medical appointments, weekly housekeeping and laundry services; daily activities, include games and socialization, physical and mental exercises, community events and trips and much more. Medication assistance or administration and assistance with activities of daily living are provided 24 hours a day by our licensed and certified team members. Security services include an emergency call system in every apartment, a direct fire alarm system, a state of the art security system, and an extensive emergency preparedness plan which includes a full-power generator. Our all-around services and amenities are indicative of our genuine desire to help make the transition to a retirement lifestyle an attractive and effortless one.